When you first start selling online, shipping is often a daunting task. Great item photos edited to perfection? Got it. Lengthy descriptions and a nice logo? Nailed it. But the shipping and fulfilment process? Please send help! Add the whirlwind of holiday shopping and these anxious feelings multiply. However, shipping doesn’t have to be intimidating - if you have a plan of attack before the rush begins, it should be smooth sailing for you and your business. The most important thing to communicate to potential buyers during the holidays is your “order by” deadline. This is the last date a buyer can purchase an item in order to guarantee delivery by the holidays. For example, if your package will take a maximum of 10 days to be delivered, your “order by” deadline might be December 14th to receive the item by Christmas Eve. Give yourself plenty of time when setting this deadline. If it takes you a few days to package the item and get it to the post office, factor that into your deadline. Make sure you look at the estimated shipping times for different mail carriers, as they may vary. Take a look at the holiday calendar and set firm dates for each major holiday. Once you have your “order by” dates set, broadcast it everywhere and stick to those dates. Include the date in every item description, as well as in your profile and as a message in your live chat window. It is important that you do not accept orders after that deadline, because you don’t want to risk a negative experience for your customers. In some cases you might be able to bend these dates, but make sure the situation works for your business. Once you’ve made a sale, you can actually buy USPS postage directly from Bonanza. 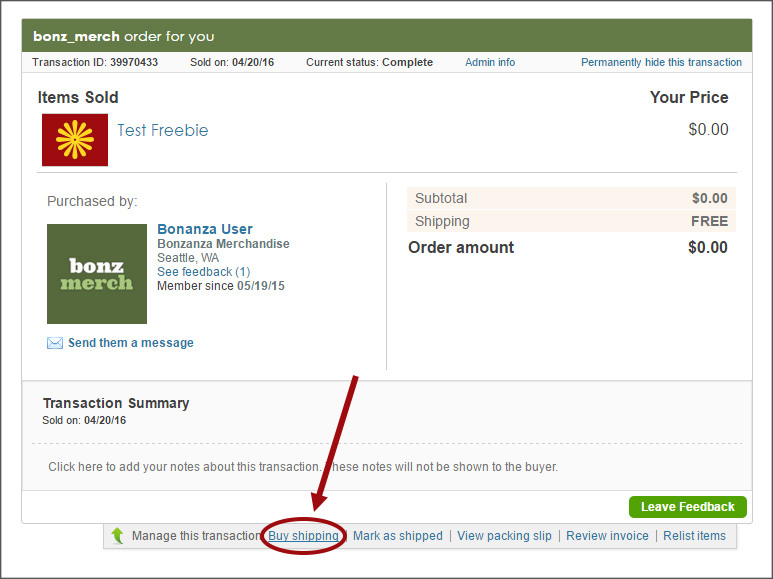 On the transaction summary, you’ll notice an option to “Buy Shipping” near the bottom. This will expand and show our three-step process for purchasing shipping. First, enter the package type, weight, dimensions, and the shipping date and select which mail service you'd like. Next, you have the option to package insurance, signature upon delivery, or other safeguards. After that, review your selections and purchase your shipping label.You can then click "Print Label" and your label will open in a new tab or window. For more information, check out this help article. Shipping internationally can take more time than domestic shipping. It's important to include accurate shipping estimations to potential buyers. You can do this by selecting your shipping method. This can be done on an individual item listing page, or in bulk by creating and then applying a shipping profile through the Batch Editor. Depending on what shipping services you've decided to provide (either free or flat rate shipping), click the dropdown menu under "Shipping method" to select the accurate timeframe. International services will be shown at the bottom of the list. Think back to the last time you received a package in the mail. Excitement and delight most likely washed over you as you eagerly ripped it open. Imagine how much better the experience would be if, instead of its’ typical bruised cardboard box, your package arrived and looked like an actual gift. We’ve touched on the unboxing experience before because it is a low-effort, high-impact way to wow your customers. 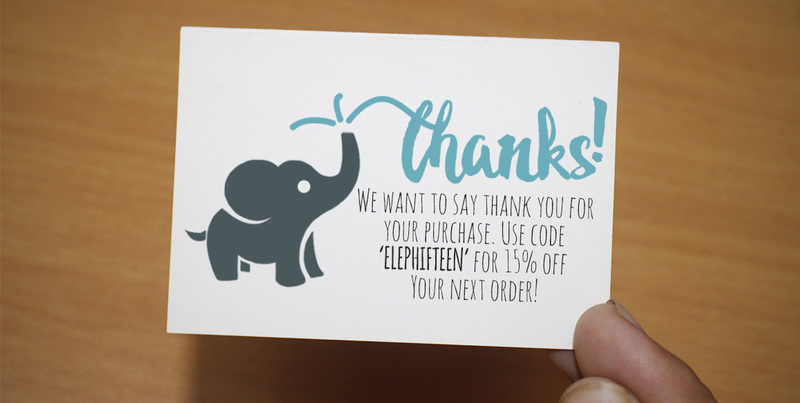 This is the final opportunity to let your brand shine and leave a lasting impression, encouraging repeat shoppers and providing a consistent experience from beginning to end. The quality of the box. Use a fresh, clean box that hasn’t been used for other packages in the past. Write the mailing address neatly and carefully, or print it out for a more polished look. Don’t skimp on the packing materials. If your product is breakable, use every precaution to ensure that it arrives intact. You can also spruce up the look of a package by using colored tissue paper or crinkle-cut paper shreds. Add-ons like ribbons, patterned packing tape, or cool stickers can also make your package unique. Check out this article for even more tips about the unboxing experience. Now that you've got a good idea of how to handle shipping, we hope you're feeling confident that you can make this your best holiday season yet. As long as you make it very clear to buyers when to expect their items and when the deadline is to order items for the holidays, you should be in great shape to get your items into the hands of your happy customers.